Sāhitya sambhāra / Nr̥siṃha Shaḍaṅgī. Kaṭaka : Oḍiśā Buk Shṭora, 1982. From the University of Chicago Library. ସାହିତ୍ୟ ସମ୍ଭାର Sahitya Sambhar, by ନୃସିଂହ ଷଡ଼ଙ୍ଗୀ Nrsimha Shadangi. 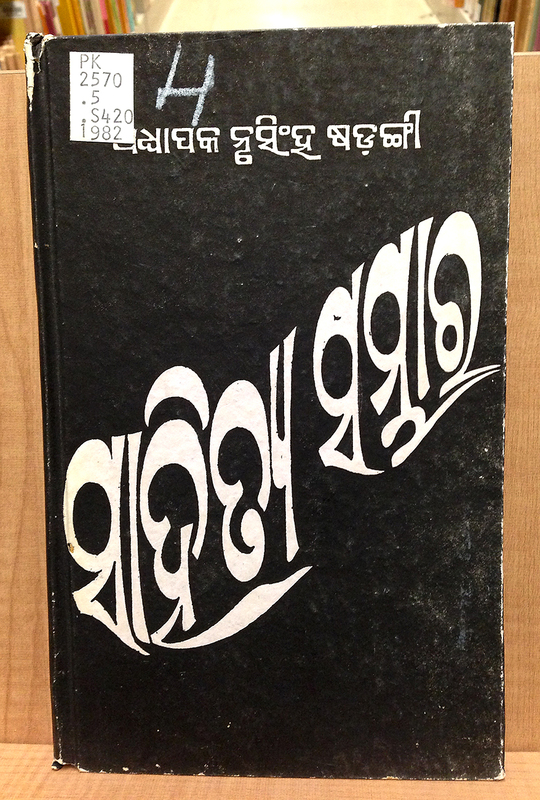 Lovely lettering on this book about Odia literature. The repetitive, top-heavy curves, narrow vowel matras, and swashy subscripts make it very dynamic and fluid. Beautiful!